Do you drive in icy conditions, or do you prefer to just stay home until it thaws? I don't drive in icy conditions unless necessary. My husband drives if it is icy. 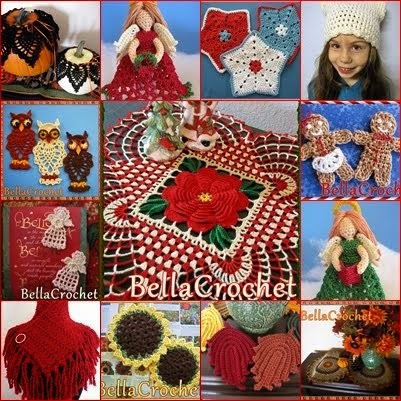 Besides, It's never boring at home if you have crochet! Absolutely stay home! No one can drive on ice! For me, it just depends on how icy the roads are. If it is a complete mess, then I will stay home. If there is probably ice in spots, then I will venture out if I absolutely have to. Usually though, I stay home since I work from home anyway. Having been born and raised in Montana, I am not as intimidated by ice/snow as my Kansas neighbors. Having said that, I prefer not to drive on ice/snow here in Kansas, because Kansans are not as experienced on the road in these conditions and some do not drive safely. Thank you for the contest. I love contests!! I don't drive so that is easy but my husband does drive. If we are going to have really bad weather we try to stock up ahead of time so we don't have to go out in it. My husband doesn't have much a of choice, he is a Truck Driver and he has had to drive in horrible conditions, I've been with him on some of the trips and helped throw chains on not just the truck but the trailer. The only time the truck doesn't roll is when the roads are shut down. My Husband is a trucker too & we are in northeast Pennsylvania. Talk about C-O-L-D ! ! ! So many days below zero ! ! Love the patterns ! ! I live in northwest Indiana (near Chicago) so I can drive in anything, but given the choice I'll stay in! I WON'T drive in icy conditions. I have learned to drive in snowy conditions, but that's two totally different worlds. Here in the midlands of SC, we had snowy roads one day and icy the next... no fun. I prefer to stay inside when it is icy, we don't have many icy days but if the schools don't close then I have to drive my grandchildren to school! Luckily it isn't far, just not close enough for them to ride the bus! If it is in the forecast I go out and get whatever I need to stay home and be comfortable and warm...who needs to go out when the hook and thread are screaming for attention? I don't have a choice. I have to pick up my doughter from kindergarten. New England born and raised, we got wicked ice storms on Cape Cod and a few Blizzards lol, tho I was a lead foot often in the snow I go s.l.o.w. lol, learned on a '69 with disk breaks. So yes I drive, well and slow. We get a lot of ice here in KY and it is dangerous, I just stay home until it thaws. I stay off icy roads as much as possible but in northern NY blizzards would come outa no where so i drove through plenty of them tryin to get home! I live in Las Vegas Nevada it never gets icy here but I wouldn't go out I'd stay home and work up one of your patterns! I like to stay home but there are times I have to go out in that stuff. I drive only when I have to, why take a change. Sometimes staying at home gives us a free day, and you know what a crocheter will do with free time. I don't have a choice, have to work, icy or not!